Technological solutions for the automation of production processes. From Cadore, a model company built with enthusiasm and expertise. Patreider S.r.l was founded In 1991. 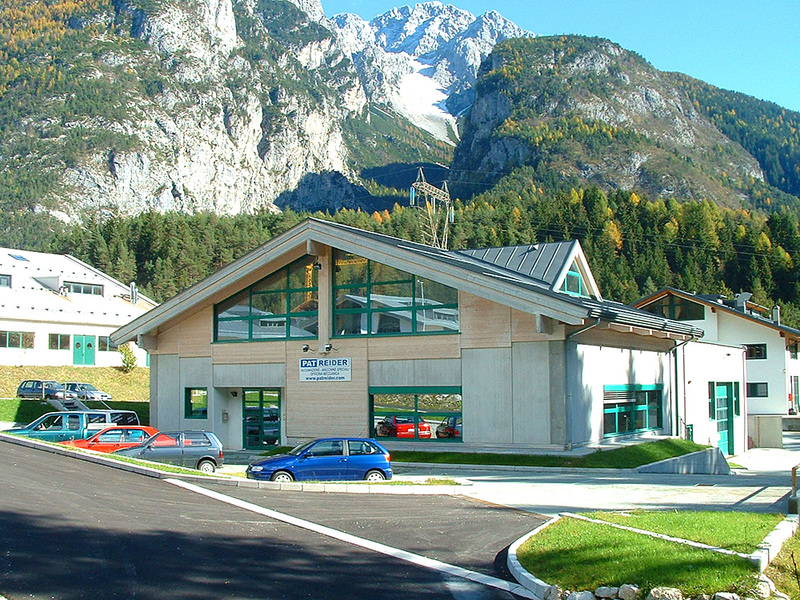 At Tai di Cadore: an 88 sqm garage, an industrial PC costing 25 million Italian lire (about € 13,000) – more expensive than the entire garage – a cutter and a lathe. Today, the company is based in the industrial area of Cima Gogna in the municipality of Auronzo di Cadore and provides industrial automation, mainly for the confectionary sector, but also in different sectors such as eyewear and cosmetics. In 2010, Patreider S.r.l. won the Innovation Award from the Unioncamere of Veneto region (local trade and industrial board). We specialize in the development of high technology industrial automation systems for the handling and maintenance of delicate products. Our projects are based on the real needs of the customer, integrating robotics and vision systems where necessary, while maintaining solid mechanical precision at all times. It starts with the implementation of the project and the components and moves on to assembly, up to installation and testing in the customer’s production plant and following after sales through the assistance and maintenance service. The founder, Thomas Patreider, still serves as CEO, supervising the implementation of some of the new projects. When speaking of innovation the term is often associated with something that involves change and renewal. Words that speak of Patreider’s story: the desire to continue experimenting and finding practical and fast solutions to meet customer demands on the market has pushed our engineers’ minds to design machines that are getting closer to what buyers are looking for. The will to succeed in achieving the goals and the tenacity with which the technical team has been committed to concretizing ideas has made it possible to create machines that have met the demands and even exceeded the initial expectations. With regard to the results obtained, we have built a name that is known today not just in a specific sector but, on the contrary, which spans different industrial fields. What has contributed to making machinery our strength is the passion and enthusiasm that an expert team employs in the realization of every single project. A commitment that involves a number of professionals who meet and discuss to bring about the ideas that then become the real machines. Always attentive to the needs of the customer, the technicians are not just confined to meeting their needs in realizing the machines, but also to assist with suggestions and proposals that are closer to their needs. A collaboration that has always led to the construction of unique and special machinery on a constantly growing and increasingly selective market.